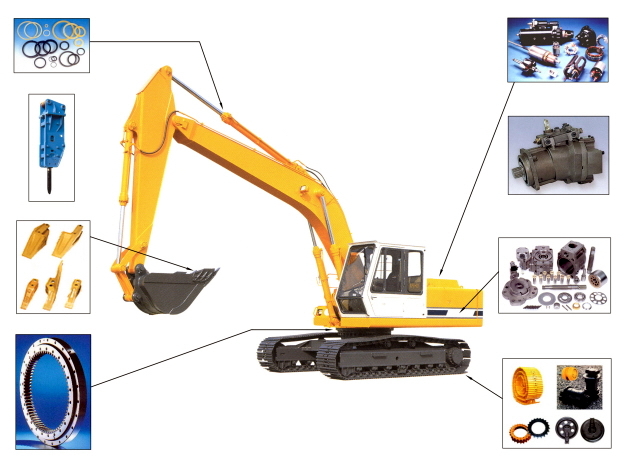 Operating since 1995, JMTC has specialized in spare parts for Heavy construction equipments like Excavators, Bulldozers & Wheel Loaders, with over 15 years manufacturing experience. JMTC has business with customers in over 30 countries around the world and over USD10M/year sales turnover. directly manufactured from Korea and Japan, for different kinds of machine models including Hitachi, Komatsu, Caterpillar, Kobelco, Sumitomo, Daewoo, Samsung (Volvo) and Hyundai. JMTC business philosophy is to provide the best quality products and services at competitive price and quick turnaround time to our customers. We trust that JMTC will support and expedite all your service and components requirements. and it does not imply that any part listed is the product of these manufacturers.